Observation - Foliose lichen on apple tree - UK and Ireland. 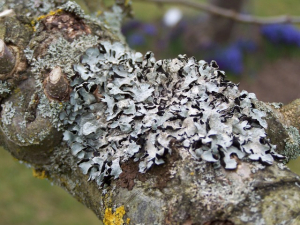 Description: Grey foliose lichen on upper side of branch of apple tree. Grey foliose lichen on upper side of branch of apple tree.